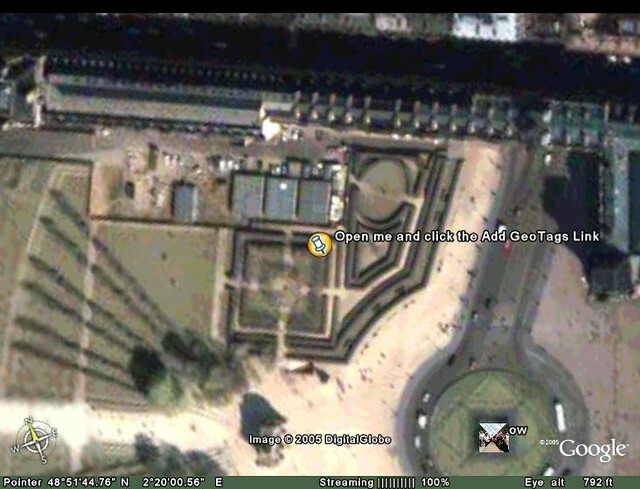 GeoTagging via Google Earth : Greasemonkey Script | Flickr - Photo Sharing! To add the GeoTags to your image, simply click the placemarker, then click the "Add GeoTags" link to add the GeoTags to your Flickr image. heyrog, akhlaq_k, MegsPhotos.com, and 7 other people added this photo to their favorites.